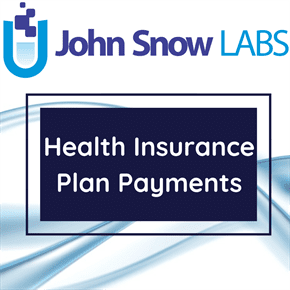 This dataset contains information provided by insurance companies regarding average payment per member per month for Medicare Part C Plans by plan level. Medicare Part C (also called Medicare Advantage Plans) provides coverage for all Medicare services, Medicare Part A and Medicare Part B as well as extra coverage like vision, hearing and dental coverage and is covered by offered by private companies approved by Medicare. The beneficiaries has Medicare Part A (Hospital Insurance) and Medicare Part B (Medical Insurance) coverage through the Medicare Advantage Plan (Part C Plans) and not Original Medicare. Medicare pays a fixed amount for your care each month to the companies offering Medicare Advantage Plans. The Centers for Medicare and Medicaid Services (CMS) conduct Risk Adjustment Factors to pay plans for the risk of the beneficiaries they enroll, instead of calculating an average amount of Medicare/Medicare Advantage beneficiaries. By doing so, CMS is able to make appropriate and accurate payments for enrollees with differences in expected costs. Lastly, the risk adjustment allows CMS to use standardized bids as base payments to plans. CMS risk adjusts certain plan payments, such as Part C payments made to Medicare Advantage plans. §422.504(n)(1) and 42 CFR §423.505(o)(1). Additional information on the summary Part C and Part D payment data that CMS releases, can be found in CMS April 15, 2011 final rule, “Medicare Program; Changes to the Medicare Advantage and the Medicare Prescription Drug Benefit Programs for Contract Year 2012 and Other Changes,” published in the Federal Register at 76 FR 21432. The categories of data are expressed at a summary level only. In addition, in instances where the level of aggregation identified in a data category was determined to be potentially insufficient to provide adequate protection against any disaggregation, such data is not included in said category. Any risk-adjusted payment is standardized to a 1.0 risk score, meaning that the included numbers are equal to the average risk-adjusted amount divided by the average risk score.